I know what you’re thinking or imagining (hahahah). 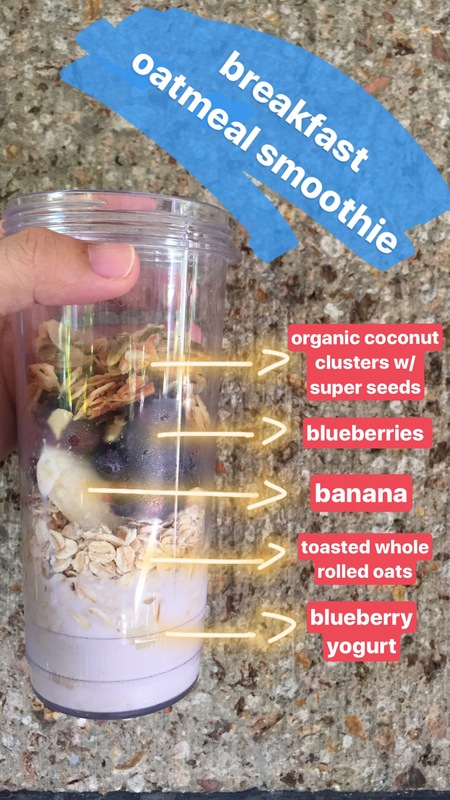 Oats…in a smoothie?! But it is not as weird as it may sound. Hear me out: Oatmeal gives smoothies a thicker, more filling consistency, a boost of fiber, and a kick of protein, too. Oats are among the healthiest grains on earth. They’re a gluten-free whole grain and a great source of important vitamins, minerals, fiber and antioxidants. Studies show that oats have many health benefits. These include weight loss, lower blood sugar levels and a reduced risk of heart disease. Toasting oats (whole rolled oats) – gives them a pretty brown color and crispy texture and slightly enhances the oat flavor. To toast oats, cook in a dry nonstick skillet over medium-high heat on your stovetop, stirring occasionally, for 5-7 minutes or until they are golden brown. 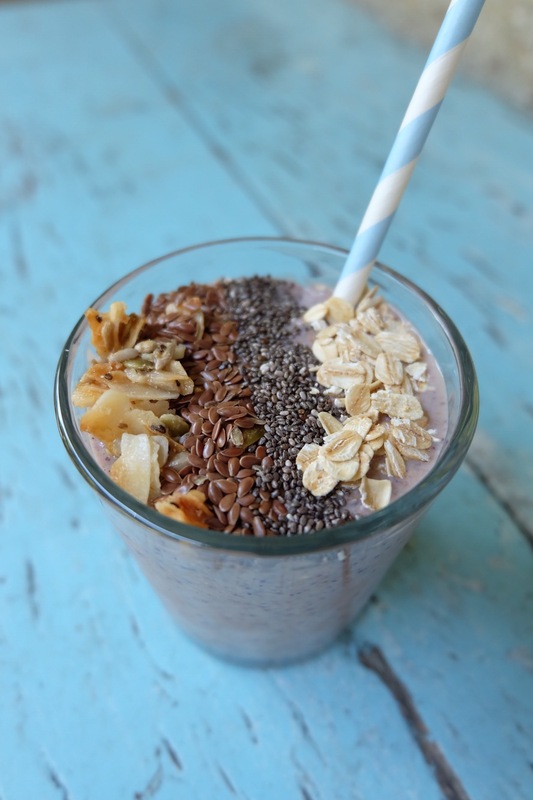 Blending the ingredients – there is only one step, put all the ingredients in a blender except for the last four ingredients (flax & chia seeds, coconut clusters and oats for garnish). Once all the ingredients are blended together, pour it in a nice glass and put all the remaining ingredients. With this recipe, the entire prep and cook time is 5-10 minutes, but you end up with a delicious and super healthy smoothie which is a great option for breakfast or a healthy snack. Hope you enjoy this delicious, cool, nutritious drink! Let me know if you like this recipe by commenting below. Like, Share and Tag your friends!